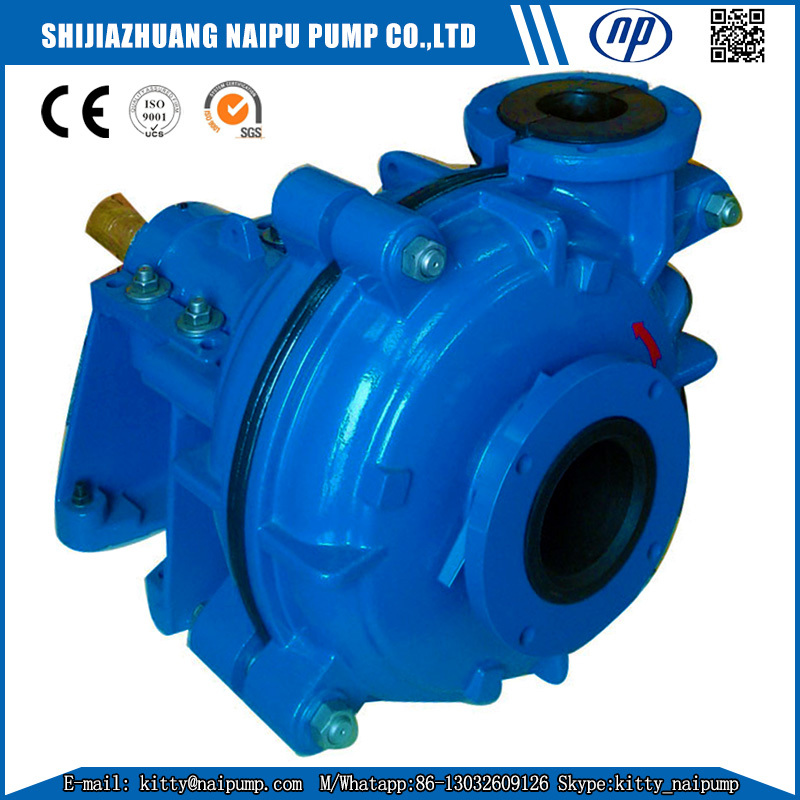 6/4 D-AHR Rubber Liner Slurry Pump is single stage horizontal Centrifugal slurry pump. 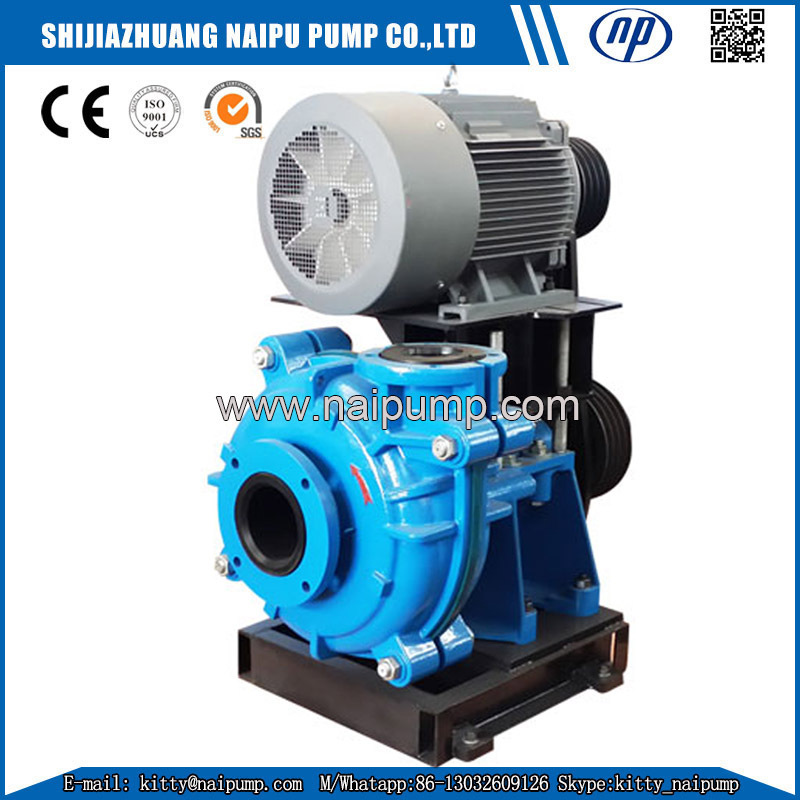 The 6/4 D-AHR Rubber Liner Slurry Pump is made of Natural Rubber , Nitrile Rubber, Butyl Rubber , Hypalon Rubber , Polychloroprene Rubber like R08,R26,R33, R55, R38 , S12,S21,S31,S42 , and polyurethane U01. 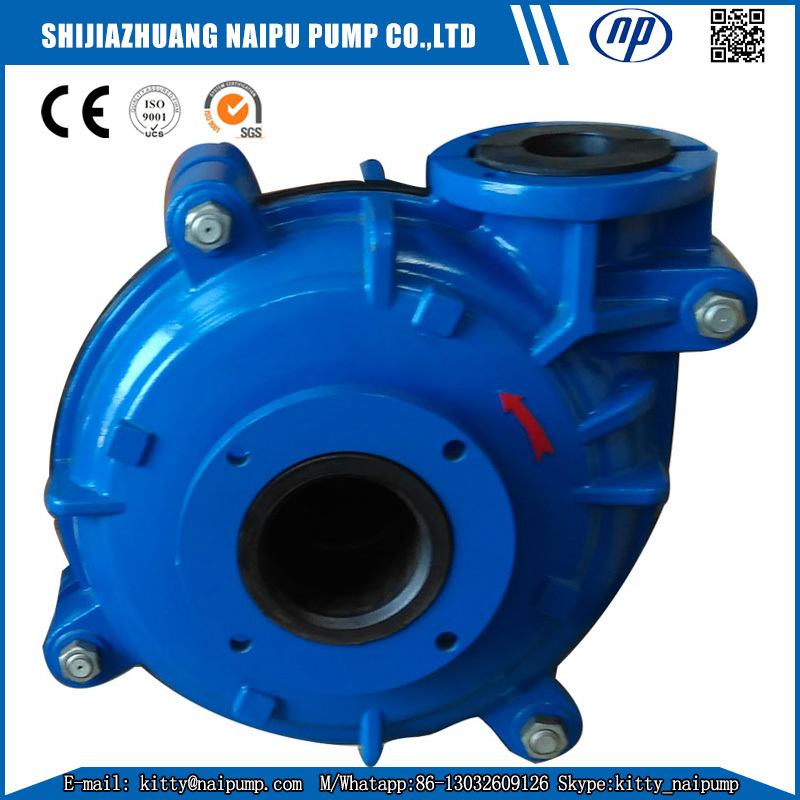 6/4 D/AHR Pump outlet is 4 inch (100 mm) , Suction size 6 inch (150mm) . Seal type : Gland Seal , Expeller Seal , Mechanical Seal . 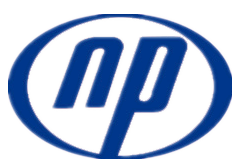 DC Type: The output shaft of a motor is directly connected to the input shaft of a pump via a pump coupler. 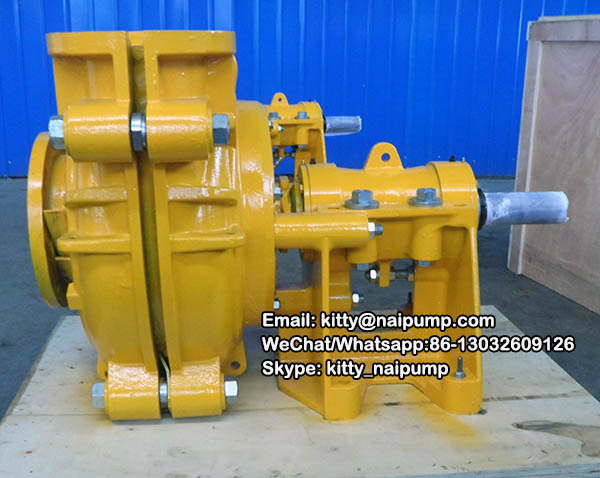 This type of connection is suitable for applications where the speed of the slurry pump is the same as that of the motor. 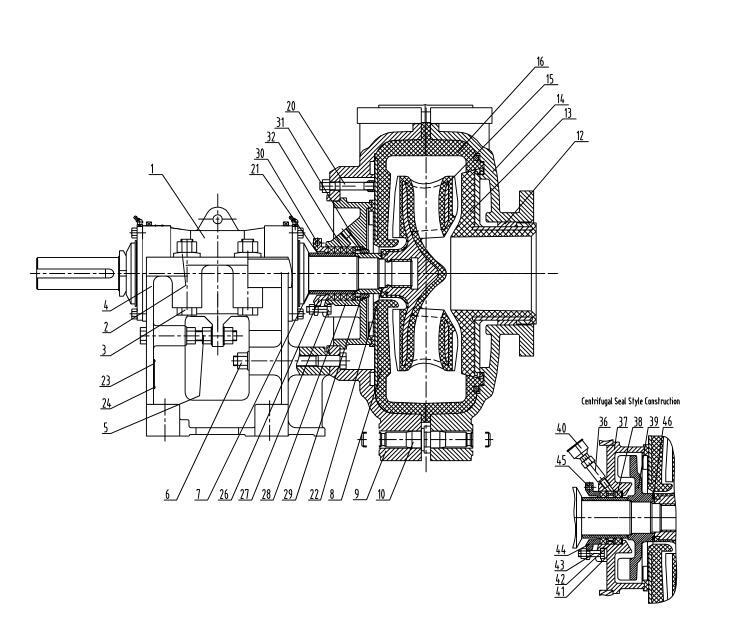 CV Type: The pump is driven by a belt connected to the crankshaft of the engine. This way of connection allows for saving space, easy installation, and fast adjustment of pumping speed. The motor is fixed to the motor support frame which is located on the bearing support above the slurry pump. ZV Type: Another type of belt drive that allows easy adjustment of pumping speed. The motor is directly fixed to the bearing support. This way of installation is suitable for motors with larger horsepower than is possible with CV type of installation. Due to the installation of motor onto the bearing support, this method helps save installation space. CR Type: This type of belt drive makes it easier to adjust pumping speed. The installation allows both the motor and slurry pump to be fixed to the ground. The motor is installed to the side of the pump. This installation method is suitable for large-power motors. 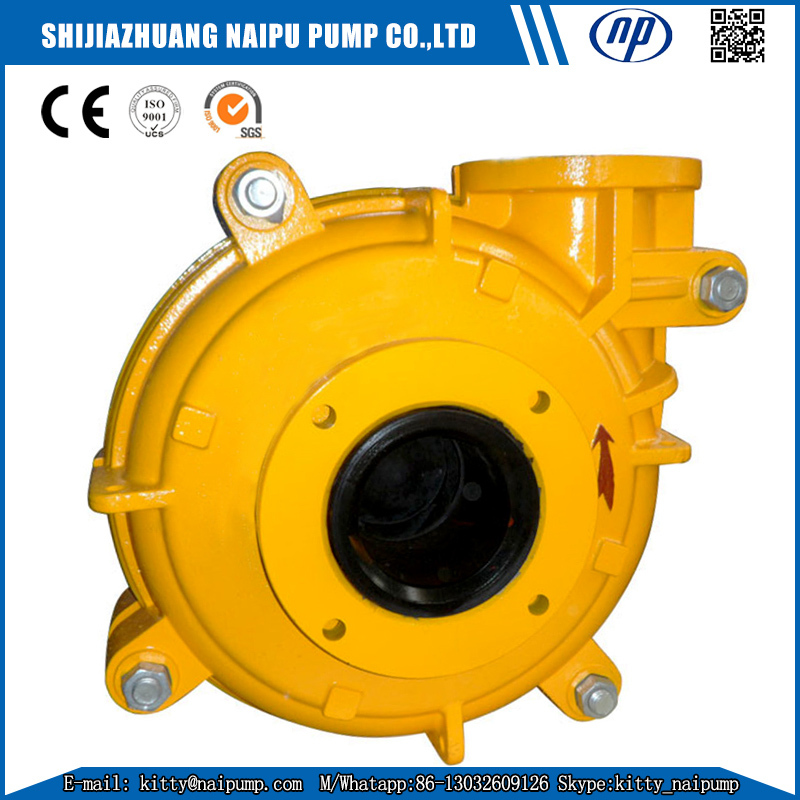 Any Requirement for 6/4 D - AHR Rubber Liner Slurry Pump , Welcome to contact me. Looking for ideal 6/4D-AHR Slurry Pump Manufacturer & supplier ? We have a wide selection at great prices to help you get creative. 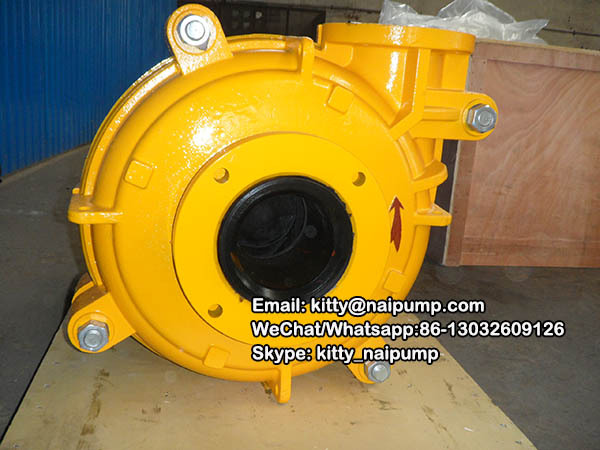 All the Rubber Liner Slurry Pump are quality guaranteed. 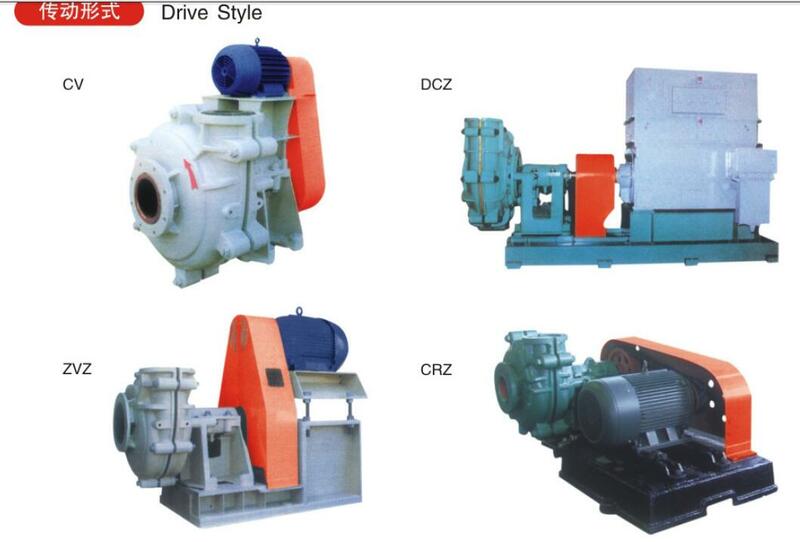 We are China Origin Factory of Rubber Slurry Pump. If you have any question, please feel free to contact us.